Philips 8 foot recessed double contact base T12 gives off a daylight white color. 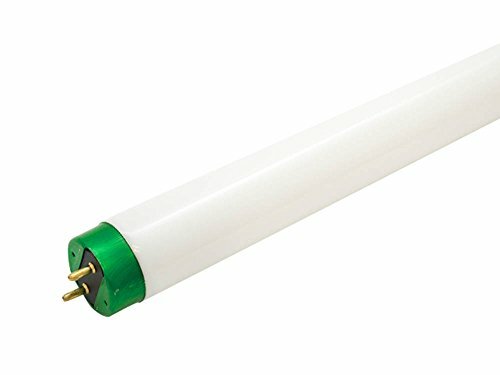 Since this bulb is longer than the everyday 4 foot T12 bulbs, be sure this is the bulb needed for the fixture before purchasing. You’ll often find 8 foot bulbs in isles and along walls. The ALTO technology this bulb offers provides less mercury than traditional bulbs, making it more environmentally friendly. Daylight white is often found in rec rooms, doctors’ offices, furniture stores, fast food restaurants, etc. Please be aware of our Return & Restocking policy as it refers to product over 49”.